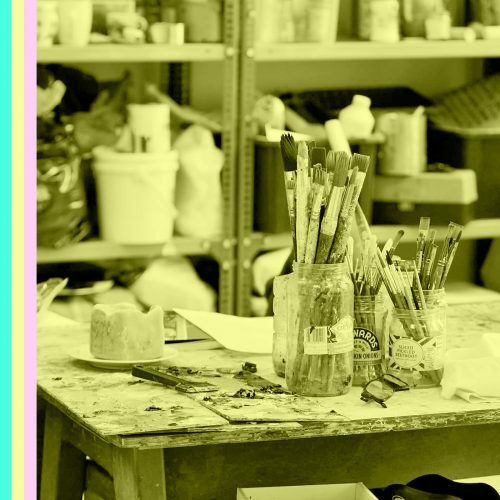 This weekend a large number of artists studios in Belfast are opening their doors for Belfast Open Studios. For this week’s podcast I met with with Rob Hilken from Visual Arts Ireland to hear about the open-day and about how VAI help support local artists. I also meet with Creative Exchange Artists Studios manager Deirdre Morrisey to hear about their facility. I visit newly established Lombard Studios and chat to painter Trina Hobson. I meet Michael Hanna from Platform Studios and Jacqueline Holt to talk about their Arists’ Moving Image Northern Ireland initiative. I also meet with multimedia artist Richard Davis at Digital Arts Studios to find out more about the workshop he’ll be running on the day of Belfast Open Studios – Sat 22 October.